We had the pleasure of attending the World Retail Congress in Berlin, which was held from September 25-28th of 2011. The World Retail Congress is a gathering of international retail executives. While there is a decidedly European feel to the conference (and attendees), North America and Asia was reasonably represented. Ebeltoft’s (and our) official role at WRC was a coordinator and judge in this year’s Retail Innovation awards as the US member of Ebeltoft Group. This year, a record number of nominations were submitted and categories were split into two categories—business innovation (more about process) and format innovation (more about format). • Shoes of Prey—Australia. The only pure play on-line retailer, where customers can customize and design their own shoes, changing the color, toe, heel type, back etc. • Eataly—New York. The fantastic New York outpost of the Italian food concept, blending together restaurant and food retail in a dynamic experience. • The Craftsman Experience. Built as both a store and studio, this concept re-defines the relationship between a bricks and mortar store, the Internet and social media. The winner in this category, Eataly, proves that retail excitement can still drive significant traffic to a brick and mortar store. Eataly reports first year revenue of an eye-popping $80 million. • Donna Ida—Denim Clinic. One-to one appointments to find the perfect pair of jeans. • Payvment—Facebook Storefront. The number one Facebook ecommerce payment platform for more than 800 million Facebook users. 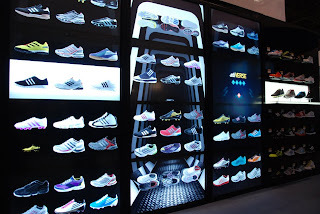 • Adidas—adiVERSE Virtual Footwear Wall. 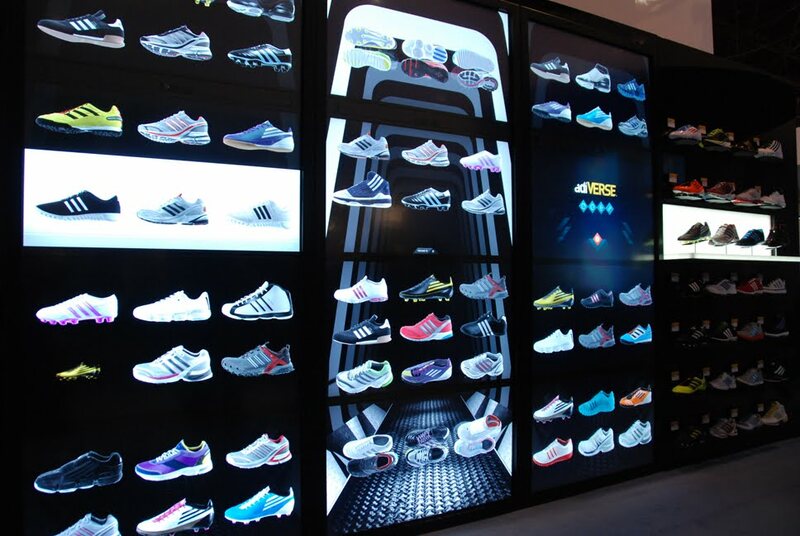 An in-store virtual footwear wall for Adidas utilizing state of the art Intel processors and touch screen technology. • Tommy Hilfiger Europe—The Hilfiger Club +ID24. Interactive touch screens at POS to drive higher loyalty. The winner here was Adidas, who also had their wall on display at the WRC. They plan on introducing this into a physical store environment within their London Flagship store. • Creating more personalized and customer experiences, whether through the customization of products or the customization of experience. In addition to the cases highlighted at WRC, Ebeltoft Group produces an independent project focusing on additional cases from around the world that showcases true global innovation. Contact me at nstern@mdretail.com to reserve a copy.